I got a few pictures from a friendly mechanic of the inside of part of the BCB. I must admit I was suprised! First, for reference, the buildup. The left sub-box contains the Filter Module, the right sub-box is the main power interconnect. Cover removed. See image above for the connectors. The Neutral point connector goes directly into the motor. 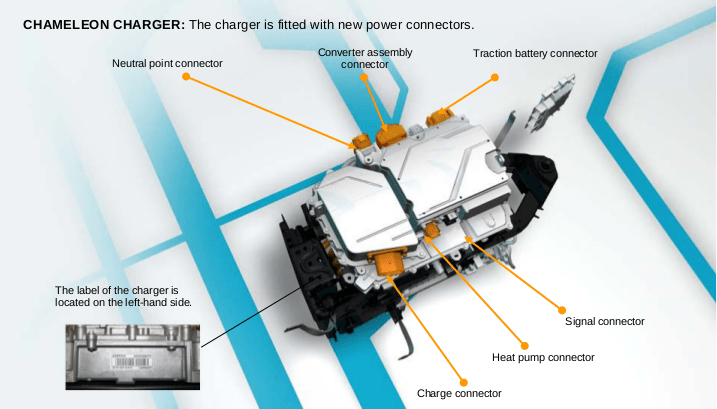 What is marked as signal connector are two smaller ones, the top one going to the charge connector lock motor, the other probably the CANbus. What they call the Converter, is technically known as the PEB. Note the 40 amp fuses between the battery wires and the heat pump connector, snugged away against the forward wall. 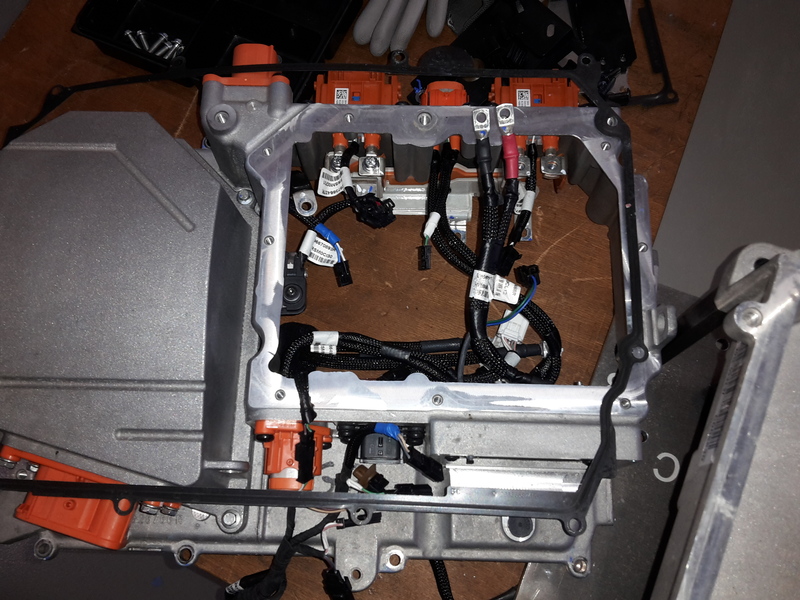 Also note the orange bus-bars connecting the battery and the interconnect to the inverter against the aft wall. 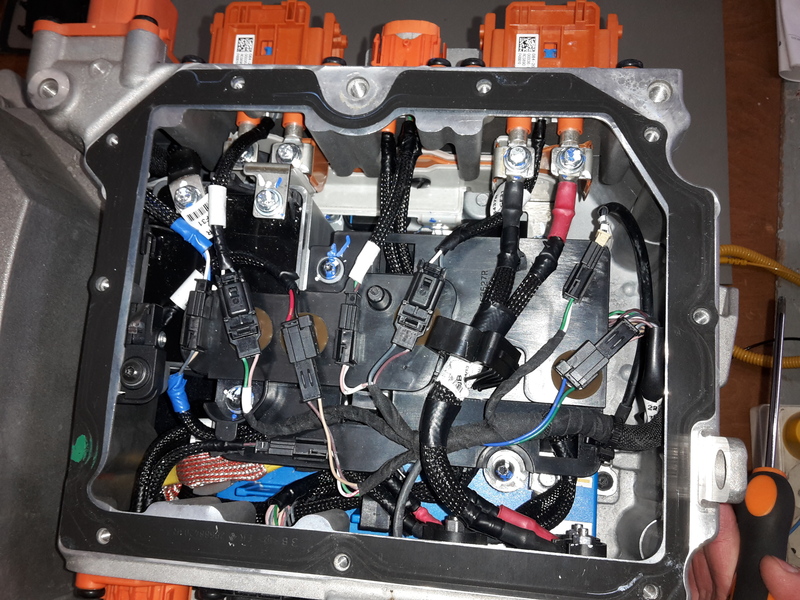 I suspect the third connector is for the high power rheostats, that are only installed in the cold climate versions of the ZOE. Upper half, containing plugs and wiring removed. The blue box is a triple smoothing capacitor. The left one is a smoothing coil, and the right one is the rectifier. From there on the energy flows to the PEB where it is further controlled / processed to charge the battery. The removed upper half. The cable to the charging plug in the nose is connected to the other, closed half of the BCB, left bottom. 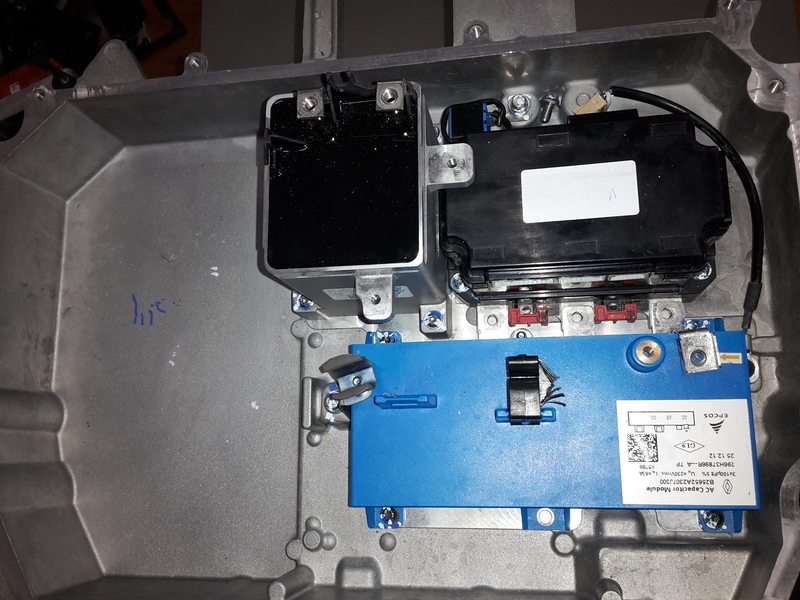 In this part the Filter Module is located that filters and measures the incoming power, switches between single and three phase operation, etcetera (no pictures yet). Re-applying heat conducting paste to the rectifier module. 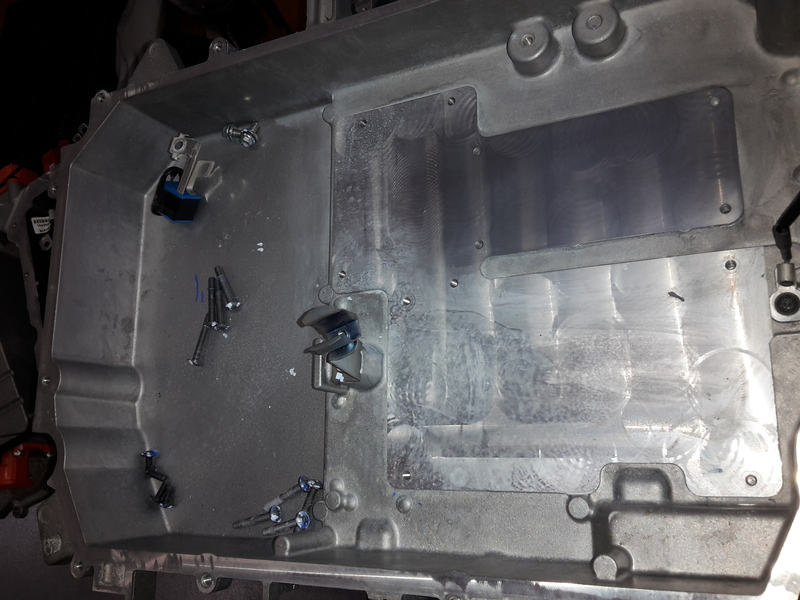 Nicely cleaned bottom, ready to accept the modules covered in heat conducting paste again. Note: The rotor cable, as well as the three phase cables to the motor come directly from the PEB. So zoe uses 3×230 V not 400 V judging by the capacitor. I thought zoe uses main transistor bridge witch drive the motor,to charge the battery ,not a seperate modul ?? That would explain why r240 only alow 22 kW charging,they use weaker modul. What exactly doing this charging module? where is the AC disconnect relay? The capacitor has a fourth bolt on the top, so it is wired as a star, so indeed 230. The ZOE does not “use” 240 volt, the N pin should in theory never carry any current in 3 phase operation. 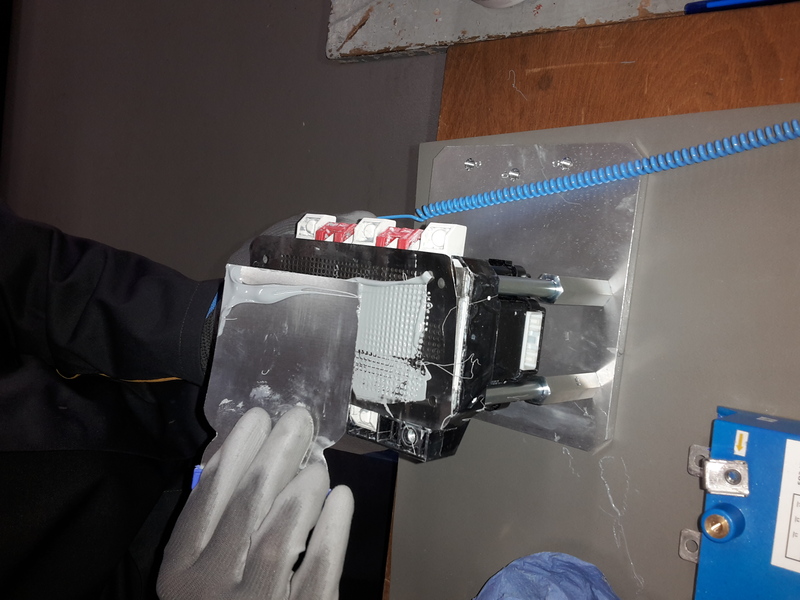 The inverter is located in the PEB module that sits between this BCB and the motor. The R240 also uses the motor coil for charging. The AC disconnect should be in the left part (see 3rd picture), for which I did not get pictures. But see https://canze.fisch.lu/charger-design/ and https://canze.fisch.lu/more-bcb-and-filter-pictures/ Fred swears though there are no relays in the filter module……. I heard there was no problem. This was an exercise session to replace components. Looks like they “replaced” that second black power element. Some photos i took at the FBZ. VERY nice, thank you! Is this all Kangoo (Fluence ZE probably the same) as the labels show? There is a lot I do not recognize, such as the 3 prongs on the motor (ZOE has 4). yes its all from the Kangoo, i thought it was the same as the Zoe. Nope, the drivetrain and charger is different, but hey, while most stuff here is about the ZOE, we LOVE this. Thank you again!! 2 Pings/Trackbacks for "BCB pictures"